Wed, March 6, 2019, 12:30-4:30 pm at the Lakefield Royal Canadian Legion, 10 Nicholls St., Lakefield. This FREE event is for job seekers of all ages, employers and community agencies. http://www.communityerp.ca/ and go to Calendar of Events. This program ran in 2017 and will be resuming again starting April 3rd, 2018 at the Municipal Office. 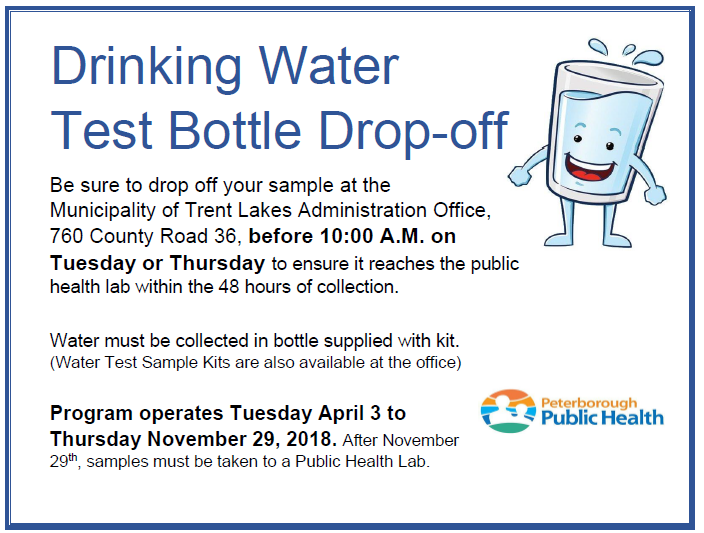 Details available on the Trent Lakes website. 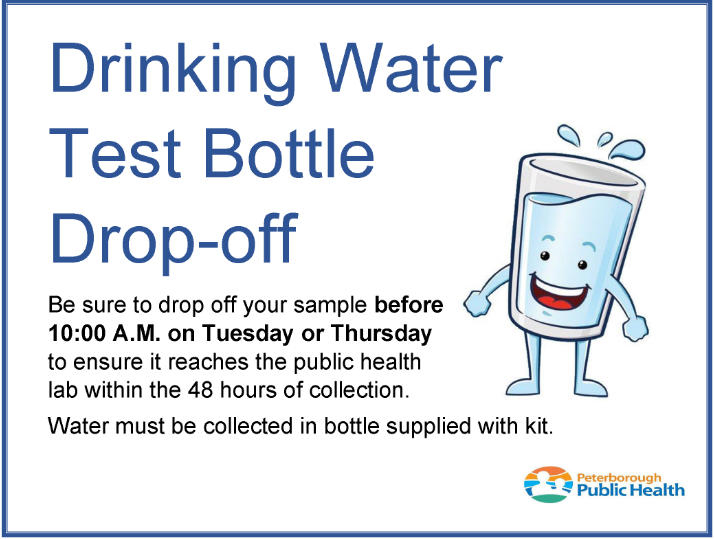 Rather than driving into Peterborough to have your water tested you can now drop off the bottle at the Township office. More details on Township website. A new program is starting up at the Buckhorn branch of the Trent Lakes Public Library for crafters. Its a Free program and no registration is required. Program will be held at 11 am every Friday, Starting January 13th, 2017. Hope to see you there !